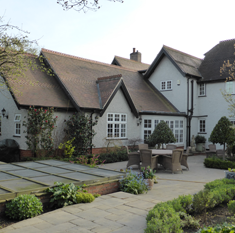 P.J Fletcher & Sons Ltd has over 50 years experience in the building industry, specialising in new builds, extensions and renovations, barn/garage conversions and commercial property alterations. We operate within Nottinghamshire, Leicestershire, Lincolnshire and the surrounding areas. P.J Fletcher & Sons Ltd prides itself in the highest standards of work and delivering a professional approach to each project. We can provide a full project management service if required, including architectural drawings, submission of plans to local authorities for planning permission, and full on-site management solutions. All of our tradesmen are fully trained and we are proud to offer all customers a professional, reliable and friendly service with valuable advice on all their building needs.